There is no evidence that the presence of a ventriperitoneal shunt should pose any risk to laparoscopic procedures. 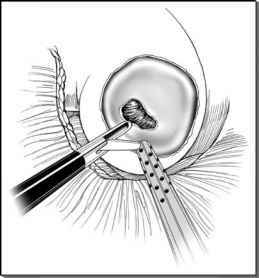 ventriculoperitoneal shunts have undergone laparoscopic procedures with no apparent problems (32). There is no evidence that the presence of a ventriculoperitoneal shunt should pose any risk to laparoscopic procedures. Indeed we have used laparoscopy for intraabdominal shunt revision. Complications in children are the same as in adults, although their clinical presentation may be less distinct and a higher index of suspicion should be established. When dealing with children, following any surgical procedure, it is important to recognize their ability to maintain a well-compensated state for long periods but then to rapidly decline in their ability to remain compensated.